Ko Samui Island is definitely one of Thailand’s rising cosmopolitan melting pot, attracting budget travellers without fail. Your usual Samui traveller will likely stay about a month or two in simple beachside bungalows while your wealthy holidaymakers like to drop in just for a weekend at one of the many luxurious resorts and villas on the island. Whether you’re in the mood for sun-seeking, kicking back on a hammock, indulging on world-class cuisine, beach partying or discovering nature’s wonders, Ko Samui has it covered. Ko Samui is unique among Thailand’s many islands in maintaining a broad appeal for all types of travellers, thus giving it the distinctive relaxed atmosphere that helps sets it apart. Ko Samui is a remarkable little island in the gulf of Thailand that has a lot to offer. Check out the finest beaches, the most appetizing foods, the wackiest and wildest parties, best bargains, and other attractions that make Ko Samui the place to be for your year-end holiday plans. With its mountainous interior surrounded with pristine beaches, the choices at Ko Samui can be found all over the island as well as in the azul waters and idyllic smaller islands nearby. The east coast is best known as the hive of beach activities while the west coast is more for the tranquil type traveller and the centre is home to breathtaking sceneries. The kiss of sun on tanned skin, its deep blue sky and the gentle sound of warm waves on white sands are an absolute knockout for your perfect retreat. Ko Samui’s beaches are as diverse as its visitors so why not roll up your beach towel and see what you can find. Try Coco Tam’s in Fisherman’s village for cocktails and some serious chill down time, Chaweng Beach for a rejuvinating sunrise and people-watching, lengthy Mae Nam Beach for peace and tranquility, or napping under a coconut tree before enjoying a west coast sunset across seas of shimmering bronze hue. Your year-end travel has never felt this good. Beautiful white sand beaches, crystal clear waters, and the perfect weather to match – it can only be Maldives. No words are enough to sum up the true splendor and beauty of this paradise on Earth. If you have never been to the Maldives, we highly recommend booking a window seat for your flight. The unforgettable view of hundreds of tadpole-like islands that slowly appear beneath the clouds as you cruise your way to the horizon is simply breathtaking. With weather that’s as perfect as its beaches, a visit to Maldives all year round is always a good idea. What better way to boast your vacation photos than a picture of you climbing aboard a sea plane heading towards the first leg of your journey. As you arrive at the resort hotel of your choice, notice how the mood quickly changes from excitement to pure serenity as you’re greeted by the soothing sound of crashing waves that kiss the pristine white sand beaches. The vacation atmosphere on this island paradise is further enhanced by the warm hospitality of the locals. One name that knows Maldives hospitality better than anyone else is Park Hyatt Maldives Hadahaa – a barefoot luxury resort, located at the heart of one of the largest and deepest natural atolls in the world. Park Hyatt Maldives Hadahaa has consistently provided guests with the ultimate private and secluded island resort experience. Featuring a total of 50 land and water villas, the minimalist-styled villas are designed with the utmost comfort in mind. Whether nestled within the island’s tropical foliage or elevated above the water, guests are only steps away from the cool ocean waters and idyllic beach. All villas feature floor-to-ceiling windows and door that lead out to a private deck, some fitted with a personal plunge pool, and direct access to the beach. A range of aqua-centric activities allow guests to make the most of the natural surroundings and the experienced team at Park Hyatt Maldives Hadahaa’s 5-star PADI Dive and Activity Centre, Blue Journeys, can create tailored experiences to suit any swimming ability. The resort is home to the healthiest house reef in the Maldives and is pure paradise for snorkeling and diving, with seemingly limitless varieties of marine life and exquisite coral formations. The careful and seamless integration of environment, culture and modern design provides the perfect place to rest, relax, and recharge. Untouched and authentic, Park Hyatt Maldives Hadahaa truly blesses its guests with the complete Maldivian experience. While everyone is out getting a cold winter chill during their winter holidays, you can easily set yourself apart by visiting one of Myanmar’s most famous attraction – The Shwedagon Pagoda. Locally known as Shwedagon Zedi Daw The, The Shwedagon Pagoda is perhaps one of the most famous pagodas in the world and it is without a doubt the main attraction of Yangon – Myanmar’s capital city. It sits atop of a hill 99 meters high. It can be seen from most places of Yangon during the day and on a clear night as the golden roof illuminates the city. The best time to visit Yangon is the winter season that spans from November to February. But this jolly season brings with it a major challenge as the influx of tourists from all over the world gather to get their share of Myanmar’s holiday magic. The winter season also brings with it occassional rains and pockets of showers so it’s best to check the weather in advance before you start planning your visit to Yangon as well as to the adjacent areas in and around Mandalay and Bagan. To complete your Yangon experience, stay at one of the city’s most unforgettable hotels at The Savoy Hotel – a four star colonial boutique hotel committed to no less than personalized and attentive service. It is ideally located in a picturesque area of Yangon overlooking the Shwedagon Pagoda, Myanmar’s “twinkling wonder” and nearby the People’s Park. All 24 deluxe rooms and Deluxe Bedroon Suite, The Savoy Hotel six suites express the charm of “the old days” with traditional Myanmar antiques, teak furniture and spacious bathrooms. Nicely overshadowed by tall old trees, the large pool with its lounge area makes the Savoy Hotel a silent oasis in the middle of the buzzing city. Adventure awaits in Indonesia’s beautiful island province paradise, Bali. Explore rice paddies, volcanic mountains, beaches and Hindu temples. See the best of Bali with ample free time, guided day tours, and even a dinner and traditional Balinese dance. When visiting Bali, timing Is everything. Bali lies roughly 8 degrees south of the equator, placing it right smack in the middle of the tropics. Its position south of the earth’s midline denotes that it’s technically summertime there when it’s winter in the United States and in most of Europe. The summer months of July and August are prime time for a beach getaways in the United States, but in Bali, during those months, the days get just six hours of daylight, even though temperatures are between 72 and 82 degreesFahrenheit at any time of year. Bali has only two seasons – wet season and dry season. If vacationing in Bali to escape the winter, you’ll land on the island during the middle of its rainy season, which runs from October through April. You’ll save a ton of money by traveling in the low season and get more personalized attention from staff, but the skies open an average of 14 to 15 days during each wet season month. The wet weather makes for rough seas, and beaches can be restricted and closed during these times. The exception to the wet season to low price correlation is during the winter holidays in December leading into the first week of January. Bali is at its busiest during this time, and, accordingly, you’ll pay high season prices. April, May, June and September offer lower rates, some 30 to 50 percent less than high season prices. Restaurants have fewer crowds, and water is clear and more tranquil for sports like snorkeling and surfing. There’s so much more to do in Bali than just tan yourself on the warm sand. Head out on a Bali adventure, but always remember that not all Bali companies or activities come with the same safety standards to provide guests with insurance for emergency air medevac along with full accident insurance. Get up-close and personal with giant, gentle creatures at Elephant Park Bali. Take a ride, pet them or take a selfie or even help bathe them. General admission includes a full buffet lunch and access to all the elephant park’s attractions. Relax in the pool and watch the park’s herd of more than 30 Sumatran elephants going about their day. Alternatively, have an elephant chauffeur pick you up and deliver you to the spa, take you on safari adventure or give you a lift to exclusive guests-only areas. You’ll get unlimited access to the grounds and botanical gardens where day visitors aren’t allowed and private night safari options to enjoy a pleasant dinner in the jungle. If that isn’t enough, hop aboard a paddle raft or inflatable kayak for a half-day trip down the Ayung River in Ubud. Paddle beside a waterfall and bounce your way through rapids rated as class 2 to class 3 on the International Scale of River Difficulty. That means that beginners who follow instructions well will have no problem navigating the river safely. Not in the mood for some wet adventure? Then how about taking a bike ride and pedal through Bali’s mountain forests past centuries-old Hindu temples. Some guided tours start with views of Kintamani Lake and the Mount Batur volcano – sites that would definitely make your Bali trip a memorable experience. Why not enjoy the perfect holiday getaway minus the sub-zero freezing temperatures when you visit magnificent Madeira in Portugal. To add excitement to your tour, make sure to visit the cliffs of Cabo Girao and walk along its notorious view point. These magestic cliffs have been converted into a nauseating tourist attraction, with an insane glass floor skywalk extending out over the top of some of the highest cliffs in Europe with a near vertical drop of over 500 meters down to the raging seas of the Atlantic Ocean at the base. Only for the brave! If your year-end goal is to create a special, memorable journey packed with incredible and endless sightseeing and exploration, then Siem Reap in Cambodia is exactly the place for you. Of course it goes without saying that a visit to Siem Reap leads only to one particular place – Angkor Wat. This gigantic temple complex is the largest religious monument in the world standing on a site that measures an astounding 162 hectares. It was originally constructed as a Hindu temple dedicated to the god Vishnu for the Khmer Empire. But over the years, it has gradually transitioned into a Buddhist temple, specifically towards the end of the 12th century. Whether adventuring solo, with your family, or with a large group, you can expect no less than an epic thrill ride as you go through the labyrinth of ancient ruins and hundred-year-old trees that have sunk their roots within the structure of the temple. We recommend getting a tour guide that is intricately familiar with the Angkor Archaeological Park to make your journey more convenient and informative. Tours can be arranged from all hours in the day or early morning. Most of the tour guide companies also provide a variety of sightseeing excursions to ancient temples and monuments outside of the park. A shining example of a classic Mediterranean landscape, the Amalfi Coast is one of Italy’s most unforgettable destinations. It’s a place where mountains plunge into the sea in a breathtaking view worthy of a postcard photo. Its fabled towns add charm and flavour to the surrounding serenity. There’s the all-time favourite Positano, a cascading hue of chic boutiques, pin-ups and sun-kissed sunbathers. To the east lies the ancient Amalfi lures with its magnificent cathedral, while mountaintop Ravello stirs hearts with its cultured villas. To the west lies Amalfi Coast gateway Sorrento, a clifftop resort preferred by many tourists. The region is home to some of Italy’s finest hotels and restaurants. It’s also one of the country’s famous spots for hiking, with well-mantained trails giving the chance to escape the coastal crowds. December marks the off-peak on Italy’s South Eastern coast. Punctuate your year-end holiday plans with a visit to one of the most unique places anywhere in the world – The Great Blue Hole – a large underwater sinkhole off the coast of Belize. The world’s largest natural formation of its kind, the Great Blue Hole is a World Heritage Site of the United Nations Educational, Scientific and Cultural Organization (UNESCO) and is a part of the larger Barrier Reef Reserve System.Famous for being a world-class destination for recreational scuba divers, the Great Blue Hole has attracted both professional and novice scuba divers with the opportunity to dive in crystal-clear waters and see countless species of marine life including tropical fish and spectacular coral formations. The marine life in these areas includes nurse sharks, giant groupers, and several types of reef sharks like the Blacktip and Caribbean reef shark. Diving excursions to the Great Blue Hole is a full-day activity which usually consist of one dive in the Blue Hole and two additional dives in the nearby reefs. If the depths of this marine marvel frighten you, you always have the option of just lathering on your sunscreen as you explore the ancient Mayan Ruins, and cool off at the nearby beaches, where you can snorkel through Belize’s unbelievable turquoise water. Renowned for its partying scene, you’ll have plenty of chances to indulge in its delicious tropical drinks while you’re in town. Malaysia, although hugely a majority-Muslim population, is still considered as a cosmopolitan capital that has plenty of watering holes. Keeping with global trends, it’s capital Kuala Lumpur has never failed to both inspire and awe the many tourist and locals that flock to get a piece of the Asian cosmopolitan life. Whether you’re looking for a laid-back lounge or a party, Kuala Lumpur offers the best places to spend your nights in. There are also sky bars with spectacular city views, dance clubs and craft beer bars with live music. Kuala Lumpur’s weather stays hot and humid most months, meaning Malaysia’s capital city is ideal for visits all year round. However, KL does experience occasional rainfall, the degree of which varies throughout the year. Protected by mountainous valleys in every direction, Kuala Lumpur’s climate is relatively cooler than most other places in Malaysia.Want to level up your KL nights? 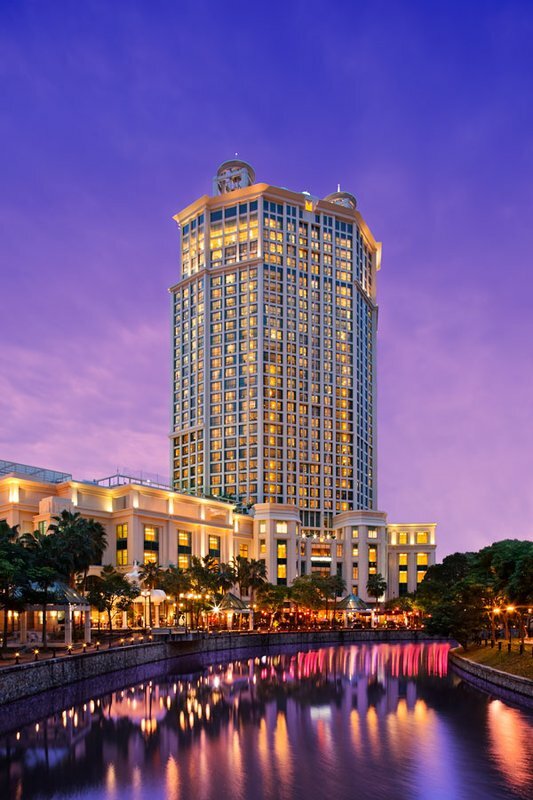 Then look no further than one of Kuala Lumpur’s skyline jewel, Berjaya Times Square Hotel. Ideally situated right in heart of city’s liveliest entertainment hub, Berjaya Times Square Hotel gives you unprecedented access to the most happening shopping districts as well as being merely 15 minutes away from the iconic Petronas Twin Towers. Embodying a classic New York look and feel throughout its décor, interiors and overall settings, this hotel brings new meaning to ‘urban living’. Whether to soak up some sun, work up a sweat or wind the day down, Berjaya Times Square Hotel, Kuala Lumpur has everything one can ask for. Fun activities are available at the rooftop Central Park on Level 15, built exclusively with a children’s playground, swimming pool, steam and sauna room, fitness centre and two squash courts. Take a dip in the massive rooftop pool and enjoy an unobstructed view of the famous Twin Towers. Guests can also make a stop at the Poolside Gazebo which serves assorted tropical beverages and snacks. With a total of 650 rooms and suites of warmth, modern elegance and contemporary comfort, guests can expect to be pampered and have all their needs attended throughout their stay. Penang is a world renowned exotic holiday destination. Once known as Pulau Pinang or the “Isle of the Betel Nut”, it is listed as a UNESCO World Cultural Heritage Site in 2008. This untouched paradise has an obvious abundance of cultural sights and natural scenery. Nicknamed the Pearl of the Orient, Penang is known for its pristine beaches and is fondly regarded as the food capital of Malaysia. Some of the most amazing sites of Penang include the sandy beaches of Tanjung Bungah, the landscape from the summit of Penang Hill and the vipers in the Snake Temple. The quaint nooks and crannies of Georgetown and the Tropical Spice Garden – the only spice garden in South East Asia – as well as Penang’s many flea markets, pasar malams’ and shopping malls are also worth a visit. If there’s a more thrilling cocktail of eastern cultures than Penang, we’ve yet to find it. Penang has long been regarded as the link between Asia’s great kingdoms and an important outlet to the markets of Europe and the greater Middle East. At its heart is totally diverse, cosmopolitan George Town, Penang Island’s main city and an urban centre that delivers old-world Asian allure in spades, from trishaws pedalling past watermarked Chinese shophouses to blue joss smoke perfuming the air. The freshest aspects of modern culture are present, too, in its unique art scene and free-spirited carnivals, all fed by the infectious local enthusiasm for Penang’s long history and a kaleidoscope of cultures. For travellers who are looking for an affordable, accessible getaway, bookmark Penang for your next vacation for it is culinary haven and a town steeped in history. What better way to escape the cold winter breeze than to jet to exotic Oman. Filled with unique tourist attractions and adventures all year round, the Nakhal Fort is one of Oman’s most exciting tourist destinations. and is one of the most popular ones to visit after Nizwa Fort and Jabrin Castle. The exact date in which this ancient fort was built is unknown, but many believe that it was built in pre-Islamic times, i.e. more than 1500 years ago. The fort is located in Nakhal, a palm oasis about 120 km from Muscat. The word “Adventure” has always been synonymous to Africa. Endless terrain creates the backdrop for mother nature’s finest creations of abundant wildlife and magnificent sunsets. Indeed, Africa has always been the top choice for the discerning adventure seeker – Rwanda in particular. Having one of the easiest and most accessible gorilla trekking is the main draw card of your usual Rwandan safari adventure tour. After arriving at the capital city of Kigali, you are only officially a few hours’ away from legendary volcanoes habituated with wild gorillas. Rarely experienced in isolation, a Rwandan gorilla safari goes well with other East African destinations in Uganda, Kenya or Tanzania but there is more to green-hilly Rwanda than meets the eye – it is also home to the primate-filled Nyungwe Forest National Park where there are chimpanzees and amazing bird-watching opportunities. Akagera National Park, on the other hand, offers big game viewing in a diverse savannah setting. Wilderness Safaris, partner of Asia’s luxury travel organiser A2A Safaris, offers an even richer adventure experience with a vision of expanding its ecotourism footprint with the opening of a camp in the incredibly beautiful and fragile ecosystem of Akagera National Park in Rwanda. Set at the end of this year, the six-tented luxurious Magashi Camp overlooks Lake Rwanyakazinga and offers guests access to some of the most scenic savannah in east Africa as well as unique wildlife species such as the bizarre-looking shoebill and critically endangered eastern black rhino, which were reintroduced to the park last year. A2A Safaris, with offices in Singapore, Hong Kong and Manila, has also partnered Wilderness Safaris for its sixth edition of its Travel With Purpose, a year-long series of impactful and adventurous itineraries. The “Frontier Ecotourism Presence” journey in October takes guests to Zambia’s million-hectare Busanga Plains where they will participate in the collaring of lions and road counting surveys of large mammals. Special activities include hot air balloon excursions where guests will drift aloft the expansive plains at sunrise for a bird’s eye view of wildlife in the area. All proceeds will be channelled into conservation and community projects in the places visited.